Deep Space Arkie is a blog dedicated to science fiction wargaming in Northwest Arkansas. My proclivities run to hard/gritty science fiction, and I will initially be prepping for games like Ground Zero Games‘s Full Thrust and Star Grunt. Not coincidentally, the GZG rules sets are freely available from the company website as PDFs! GZG also makes some beautiful models, many of which are reminiscent of the artwork from the old RPG, 2300AD. Yes, I’m of a certain nerd age, and that reference should date me. I also have an interest in historical wargaming, which is documented over at ArkieGamer. It should be obvious that I have a bad case of gamer ADD! For the moment, this blog is primarily going to be a collection of links that I’ve organized around my particular interests, but there will be richer content available in the coming months. 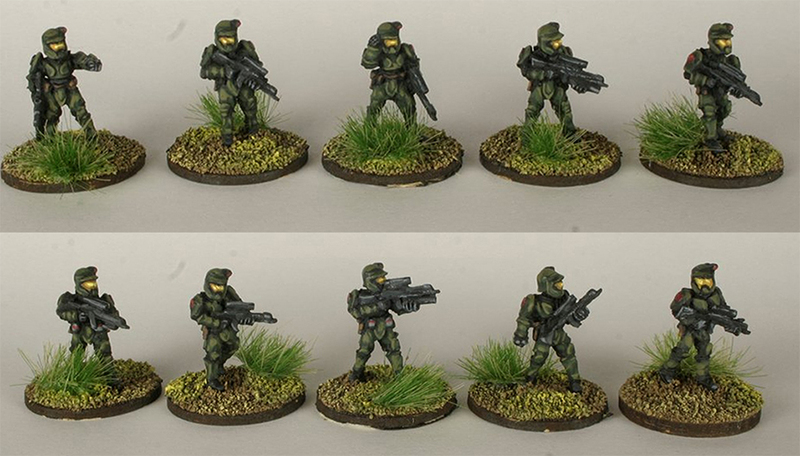 I have actually ordered some miniatures, including various Federal Army troops from Khurasan Miniatures, and I’ll be painting them soonish. I’m also looking forward to scratch-building some sci-fi terrain and buildings.